I worked at the Criterion Collection from 2007 to 2015. 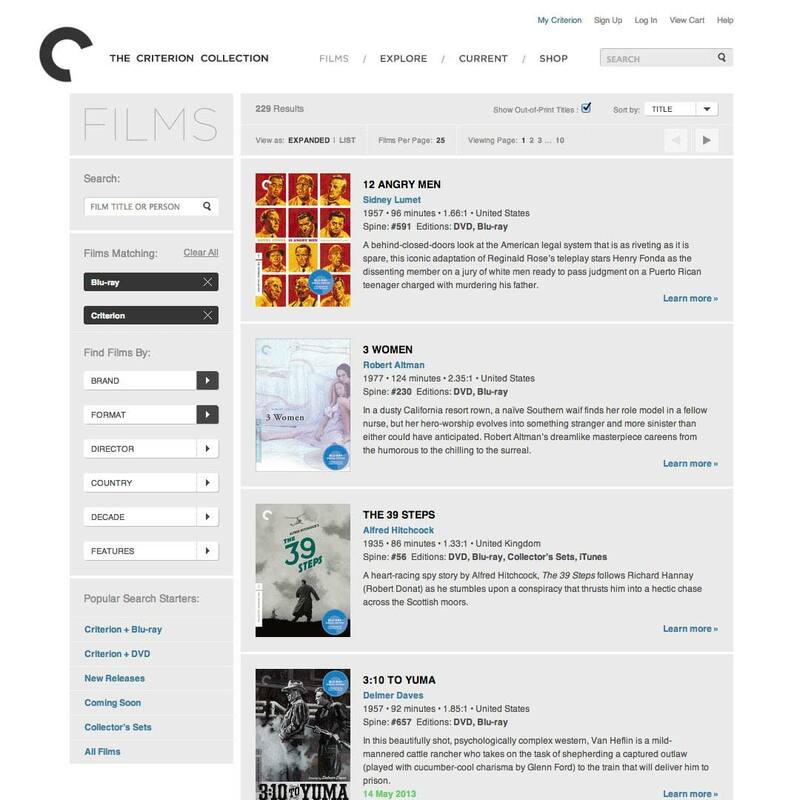 As part of a small team, I led Criterion's online marketing and development roadmap, with specific focus on content strategy, interaction design and user experience on Criterion.com and related initiatives. 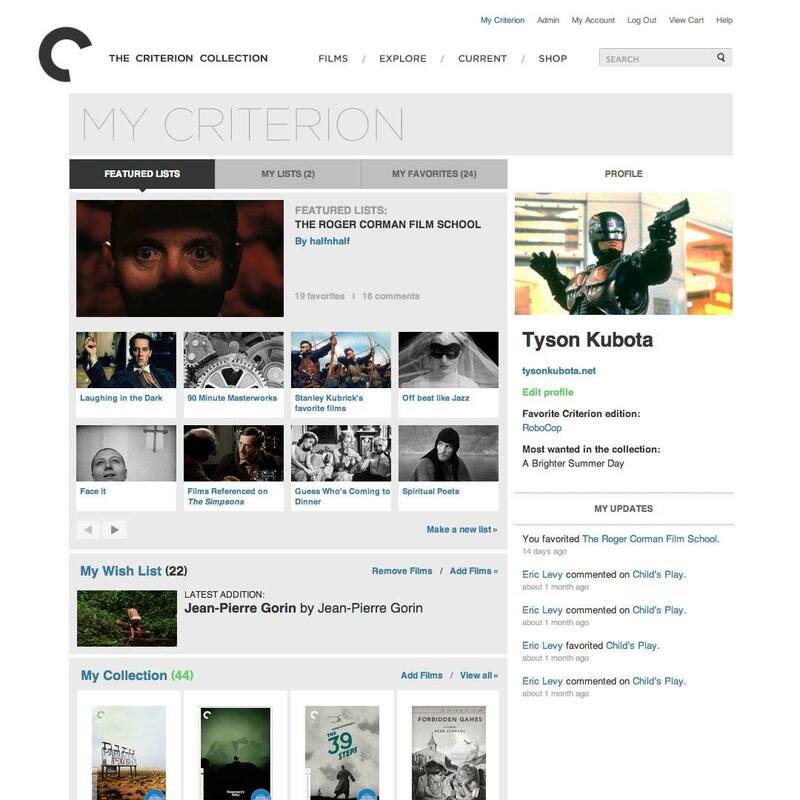 I’ve expanded the Criterion brand presence to Facebook, Twitter, Tumblr, and YouTube. I conceptualized, prototyped, and directed the development of this 2013 sale dashboard. Our goal for this page was to show informational feeds in a way that would convey a sense of movement and immediacy, as products faded in and out of the panels. 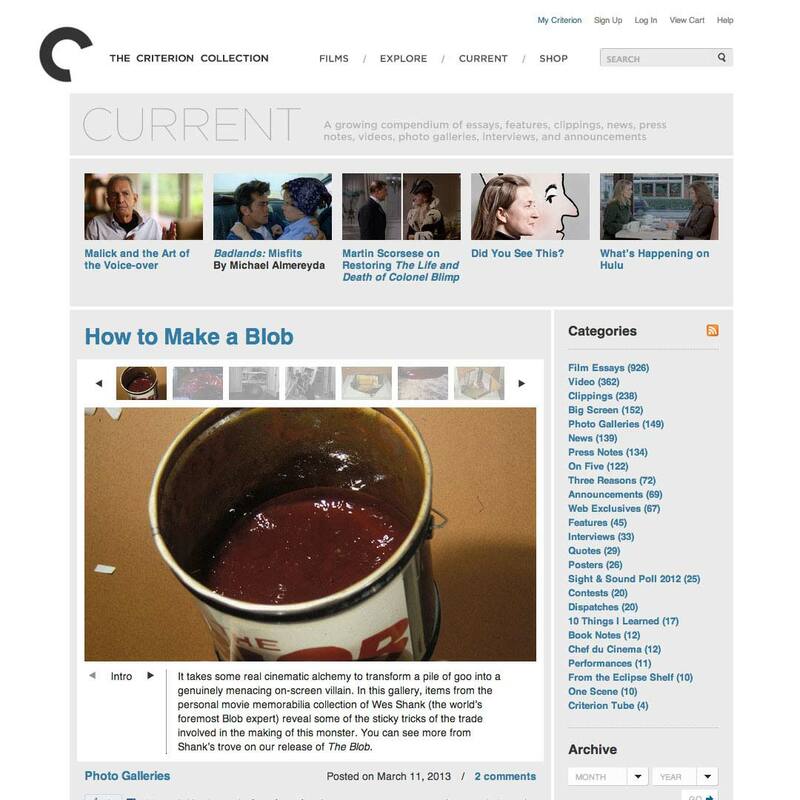 This browser lets users browse, search, and quickly start watching the Criterion films streaming on Hulu Plus. The sale dashboard’s user interface was constructed clientside with Handlebars and Backbone.js. 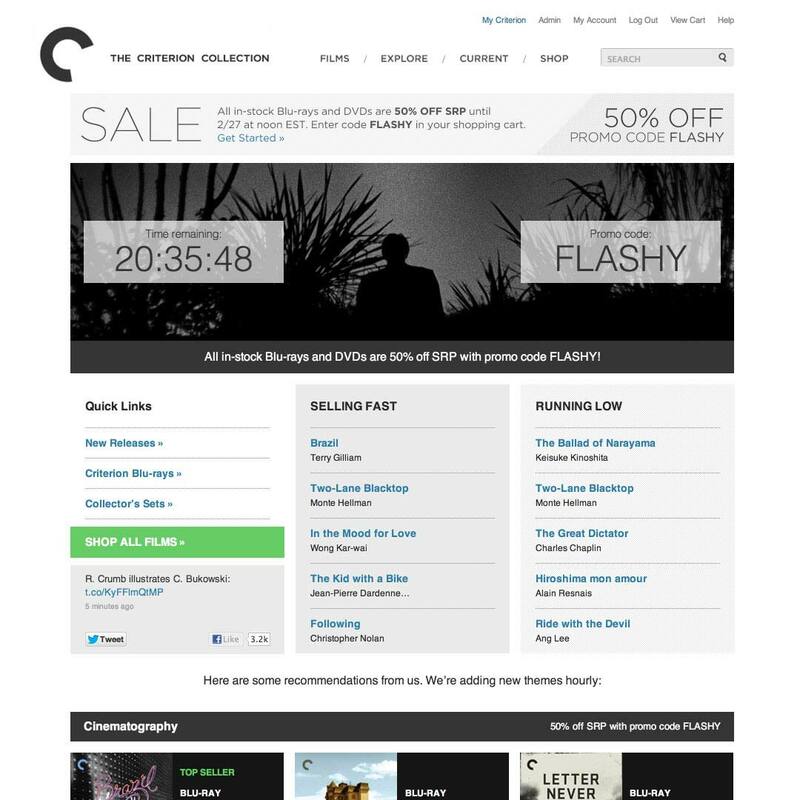 The lower half of the page contained curated shelves of films, with animated real-time stock and popularity indicators to guide users’ purchasing decisions. 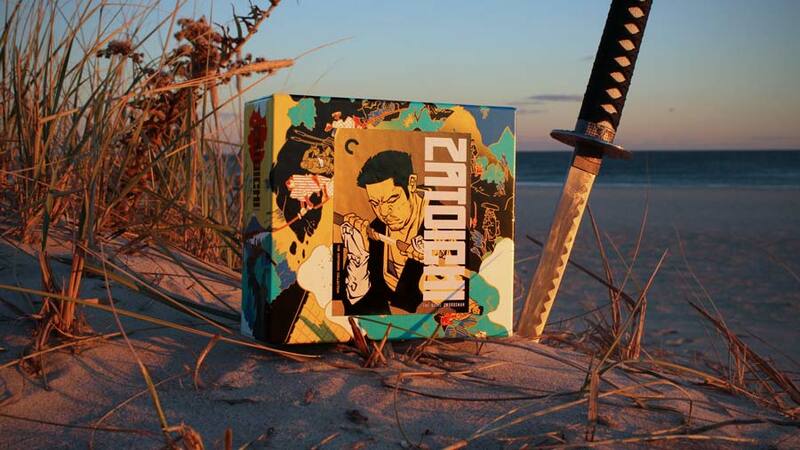 My Criterion is a social layer where users can track their Blu-ray/DVD collections and create custom lists of films. I wrote its initial feature set and led its interaction design, and revamped the profile pages in October 2012, adding an updates feed and emphasizing a carousel of user-made lists. 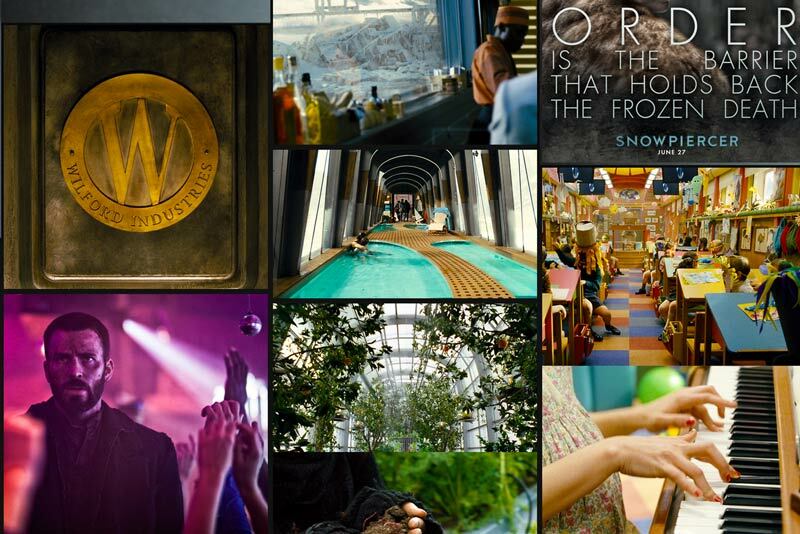 This product browser lets you find films by director, country, year, and more. 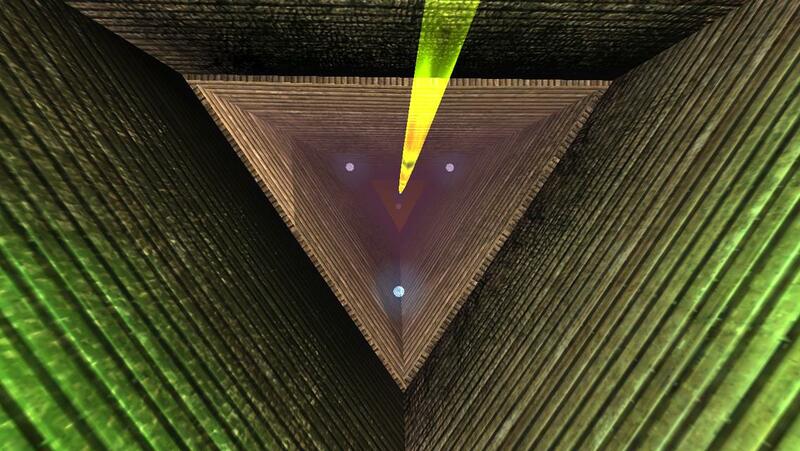 I defined its search experience and assisted with interaction design. I set specs, polished design, and led frontend development on this photo gallery tool. 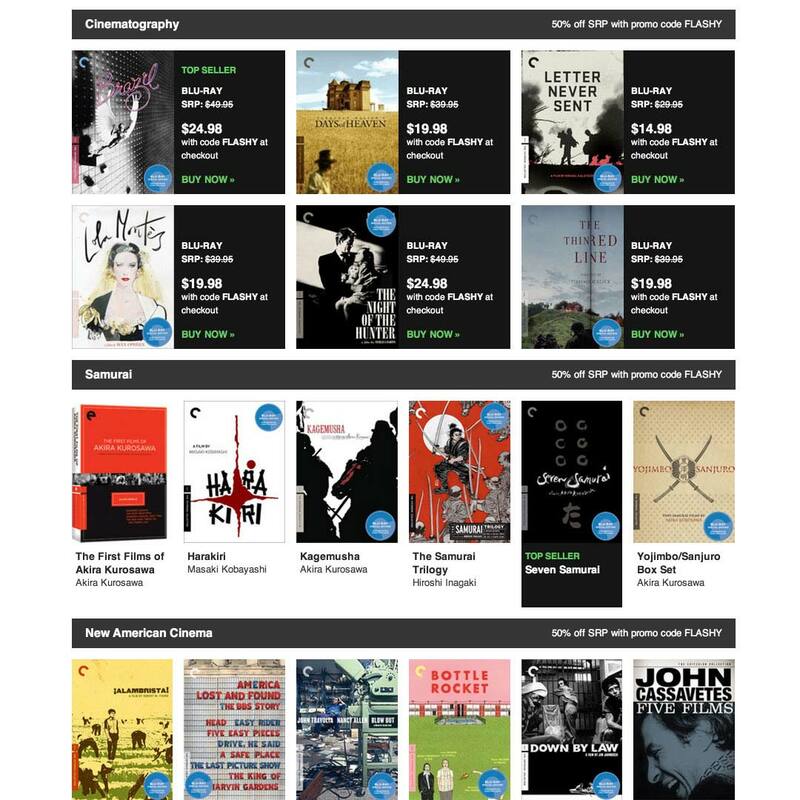 We've evolved the Criterion film pages from promoting a single physical product to a richer media experience with articles, videos, photos and more. 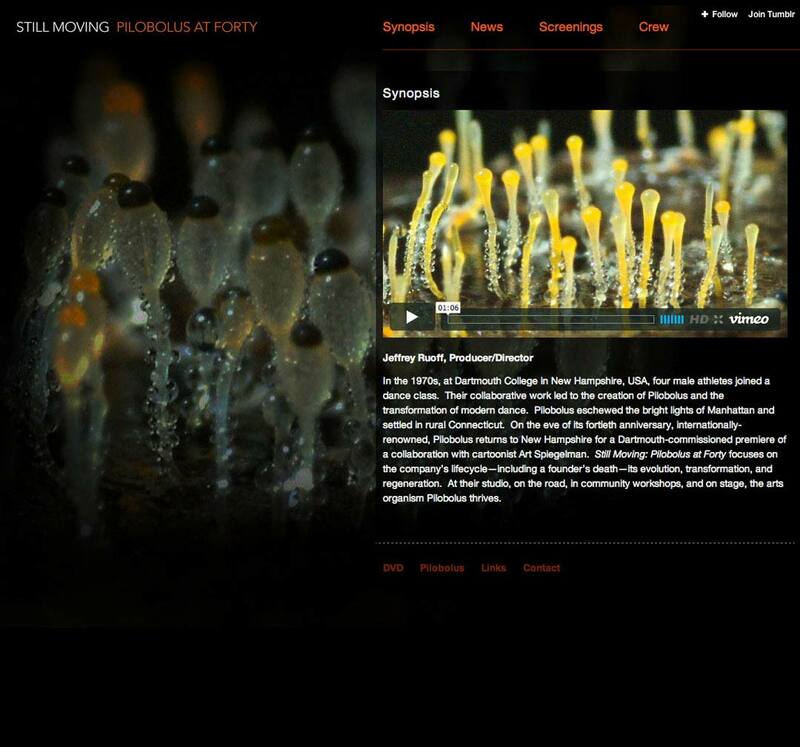 I led a recent interface redesign, adding tabbed navigation and feeds of social elements. 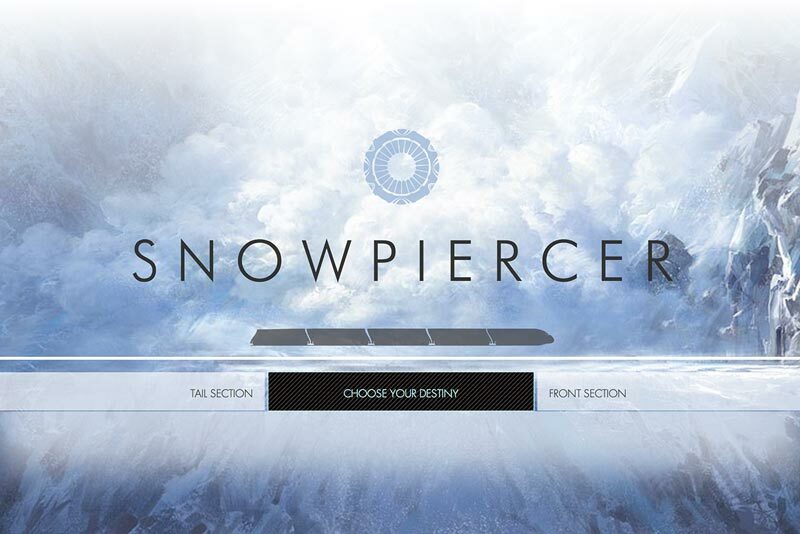 The official US site for the sci-fi epic Snowpiercer, directed by Bong Joon Ho. It’s powered by Tumblr for easy updating, and uses Isotope.js for sorting tiles of media content. Built for Radius/The Weinstein Company. 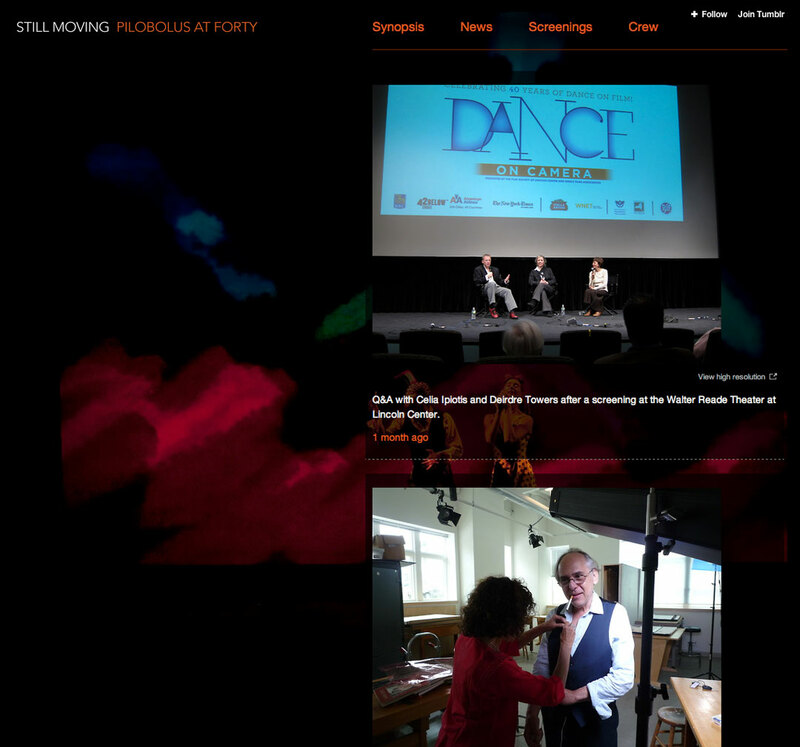 I designed and built this Tumblr-powered site for a dance documentary by Jeffrey Ruoff. 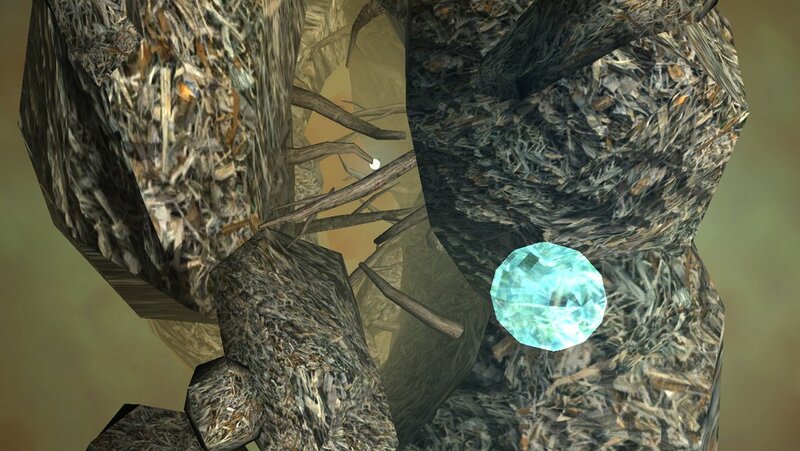 A 3D tilt game I created for iOS using Unity. 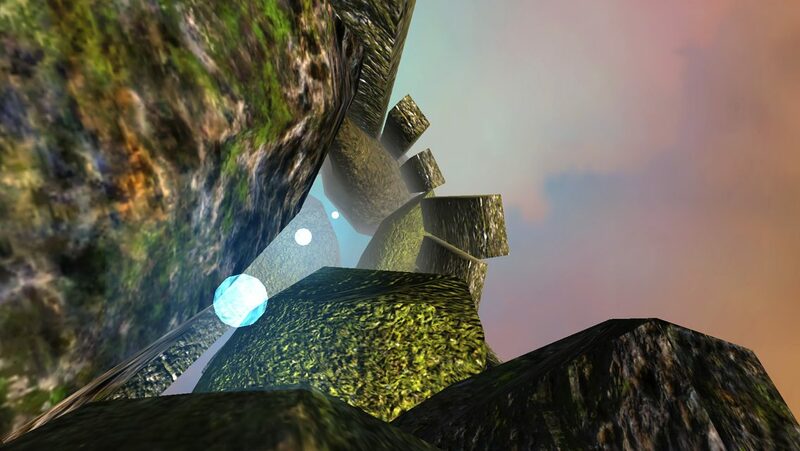 Building it was a great learning experience—a crash course in game design and 3D modeling. 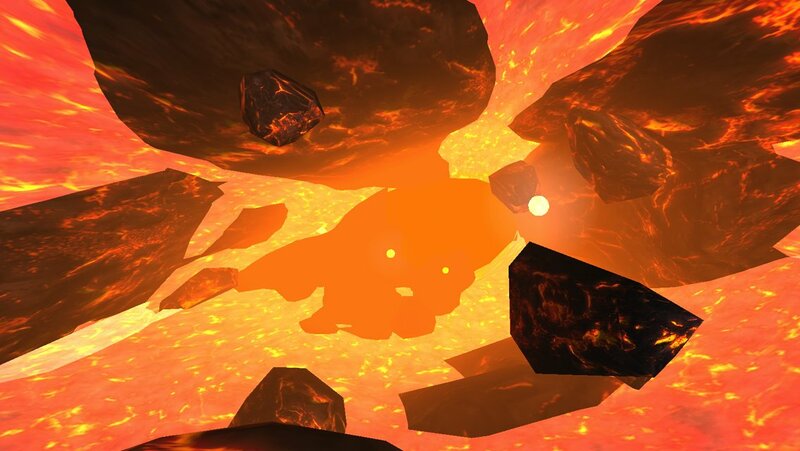 A Tumblr of animated GIFs that I made. I have worked for the Telluride Film Festival since 2006. I've volunteered at seven installments of the festival so far, and screened and critiqued hundreds of short films for two summers. I was director of the Dartmouth Film Society, one of the oldest college film societies in the U.S., from 2006-2007. 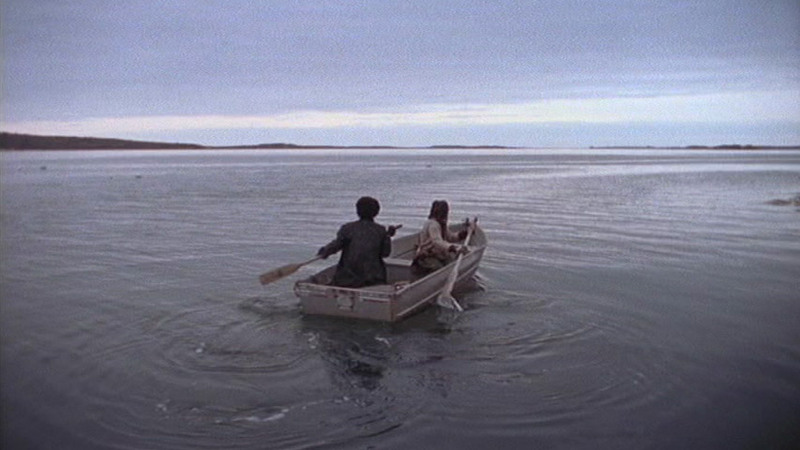 I crafted over 200 film programs a year (at the time, more than 90% on 35mm), led meetings, edited original essays, and wrote advertising copy. I designed all covers and contents of the printed campus film journal, in addition to writing and editing original articles. I wrote, directed, shot, and edited a 20-minute narrative film as my senior thesis in college.